Even without a government shutdown, taxpayers are having trouble getting through to the IRS at the start of the 2018 tax filing season. Busy signals and long hold times are leading to frustration. We’ve even heard of waits of longer than an hour on the “hotline” for tax practitioners. What’s more, the situation probably won’t improve as the due date for filing 2017 returns beckons… in fact, it’s likely to get worse. What can taxpayers do to obtain the information they are seeking? Frequently, they can find answers by simply going online and using the resources that are readily available to them. 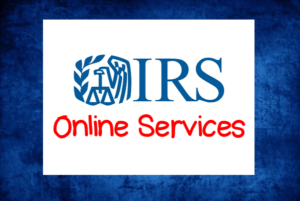 The IRS provides a wealth of information and a number of valuable self-help tools at www.irs.gov. All you have to do is direct your clients to the right places. For instance, taxpayers often want to know when they will be getting their refund as soon as they have filed their return. Instead of repeatedly calling the IRS – sometimes not getting though — they can easily check the status of refunds online through the “Where’s My Refund?” tool at www.irs.gov or the IRS2Go mobile app. The IRS updates this information after the end of each business day when most of the country is sleeping. www.irs.gov/payments/view-your-tax-account, get answers to common questions at www.irs.gov/help/ita and locate tax assistance they might not otherwise be able to afford at www.irs.gov/individuals/free-tax-return-preparation-for-you-by-volunteers. And, once someone is ready to pay a tax liability owed for the 2017 tax year, he or she can visit www.irs.gov/payments/direct-pay for information about arranging direct payments from bank accounts. In summary, if taxpayers do just a little digging online, they can avoid hang-ups and delays typically experienced when calling the IRS. Of course, complex matters may require more searching. What about clients who aren’t tech-savvy, such as some elderly individuals, or those who don’t have easy access to the Internet? If you’re willing to take a more hands-on approach, you can do the grunt work yourself and pass along the information. This is a good way to strengthen existing relationships and create lasting new ones.